Guomao Intersection constitutes the largest area of public space within the central business district of Beijing that needs to be designed as one. Systematica took part in the initiative promoted by BAM for the analysis of Guomao Junction. The main goal was to propose a redevelopment of the problematic area through an attentive analysis of the traffic and a rational and innovative process of landscape design. Guomao Junction occupies an area whose extension can be compared to the one of the historical Forbidden City, situated at the hearth of Chinese capital city and whose traffics are to be counted among the biggest taking place within Beijing built-up area. 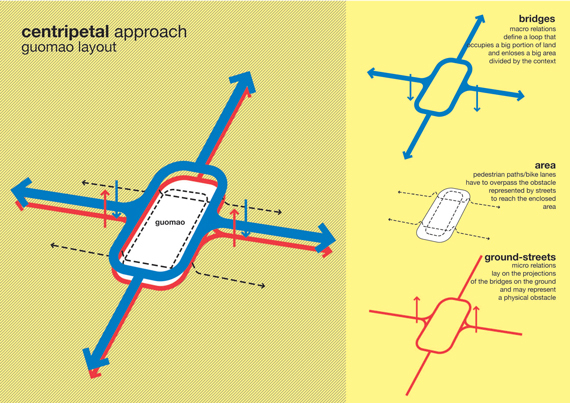 Systematica supported BAM during the design phase by analysing the traffic flow data collected ‘in situ’ and then all the design solutions of multi-level junction proposed. 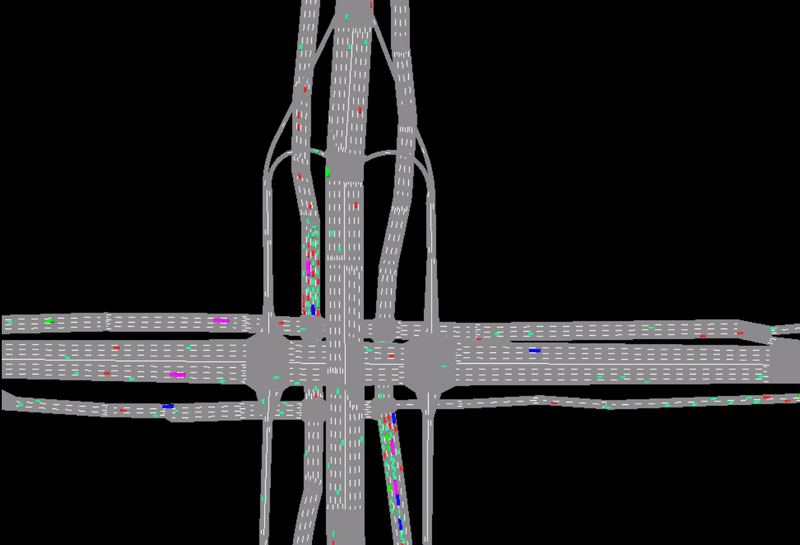 Finally, Systematica contributed to the design process by modelling the several infrastructure scenarios in order to provide the designers with a quantitative assessment of the impacts of the previously mentioned various design proposals. 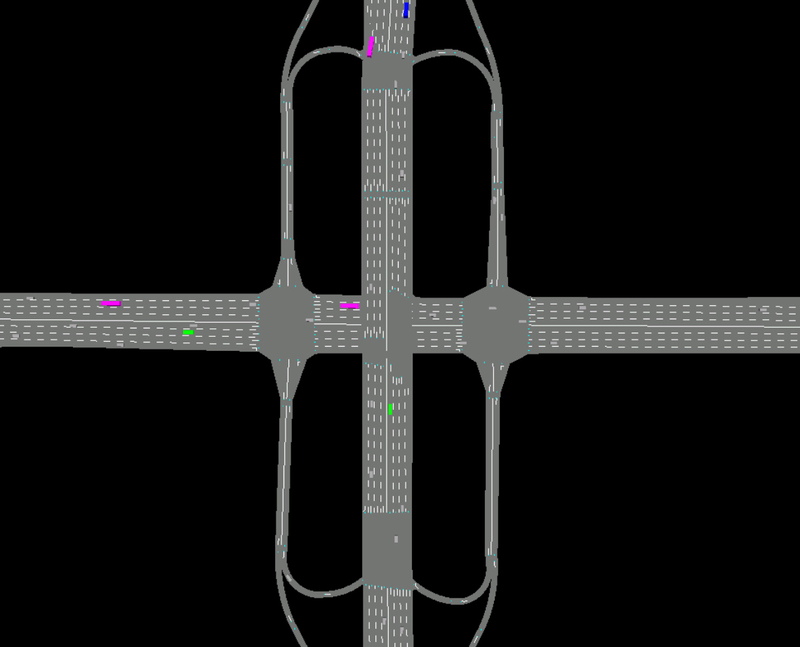 Traffic simulations were developed using the software Paramics and the results clarified the pros and cons of each of the scenario modelled, helping the designer to understand weak points and strength of each solution. The initiative of Guomao represents an important experience of research and debate in the field of so-called ‘hybrid infrastructure’. Systematica and BAM conceive a redesign for Guomao Junction, the largest public space at the hearth of Beijing CBD.